Additional storage is always welcome. 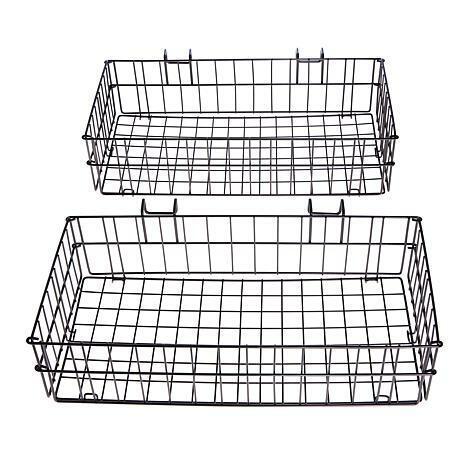 These sturdy side baskets attach to your large rack to handle smaller objects such as tools, books, art supplies and much more. 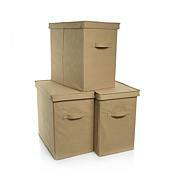 They also fold, making them a smart and efficient way to get organized. Maximum Weight Capacity: Approx. 22 lbs. 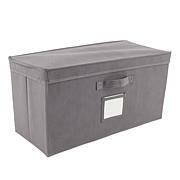 Fits smaller objects such as tools, books, art supplies, etc. Love the Origami shelves and the baskets are a great addition. I have a bedroom that I use as a closet. The baskets are great for small items. Easy to assemble and move around if needed. These baskets are a great addition to my craft room, I attached them to the origami large racks and they are perfect for things I can just grab. 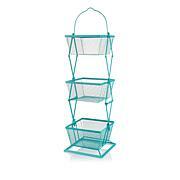 Happimess Pierre Wire Adjustable Mini Trolley With four tiers of basket-style shelving, this portable mini trolley adds instant storage to any space in your home. 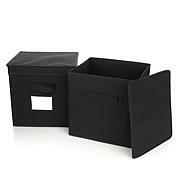 A favorite of professional organizers, it accommodates any shape or size with customizable layers.